The principal of the Urban Assembly School for Wildlife Conservation was removed from her post, the DOE announced. 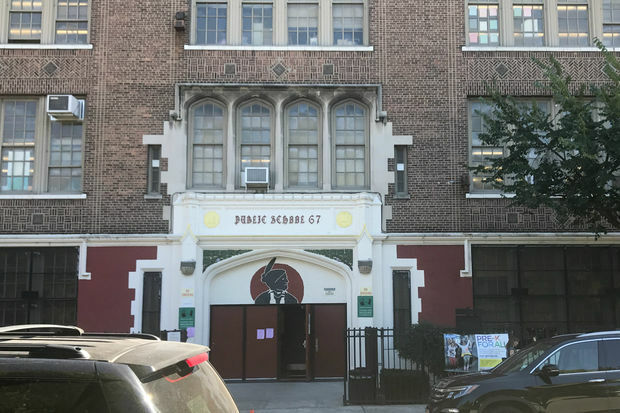 THE BRONX — The principal of the school where student was fatally stabbed and another critically wounded last month has been removed from her post, according to the Department of Education. Astrid Jacobo, who was the head of the Urban Assembly School for Wildlife Conservation in West Farms, was reassigned to the Bronx Field Support Center where she will not oversee children, according to the DOE. It was under Jacobo's watch that 18-year-old student Abel Cedeno stabbed two other students, one fatally, in their third-period history class on Sept. 27. Cedeno claimed he only acted in self-defense after withstanding years of bullying because he was gay. The superintendent will work with the school to find a new leader, and staff from the Department of Education's Field Support Center and the superintendent’s office will be at the school Monday for support. The mothers of both Cedeno and the 15-year-old who was fatally stabbed, Matthew McCree, have blamed the school for not doing more to prevent the tragedy. McCree's mother, Louna Dennis, specifically blamed the principal for a deteriorating culture at the school, which she blamed for her son's death. She and the father of the other victim, Ariane Laboy, recently filed notices of claim that they intend to sue the city. Cedeno has been indicted on a manslaughter charge in the killing.